1.) 1 3/8" Plastic / nylon Pulley. Use with cable up to 3/10". 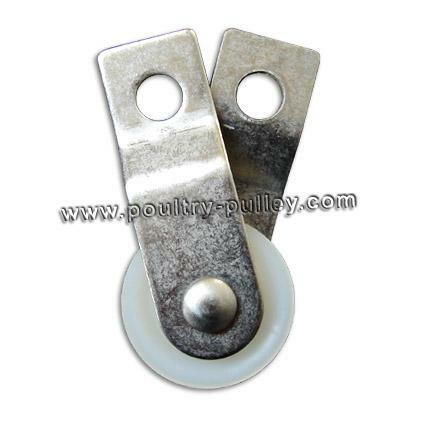 Hanging Stainless Steel Pulley 2 1/2"
Copyright 1996-2017 poultry-pulley.com Limited. All rights reserved.